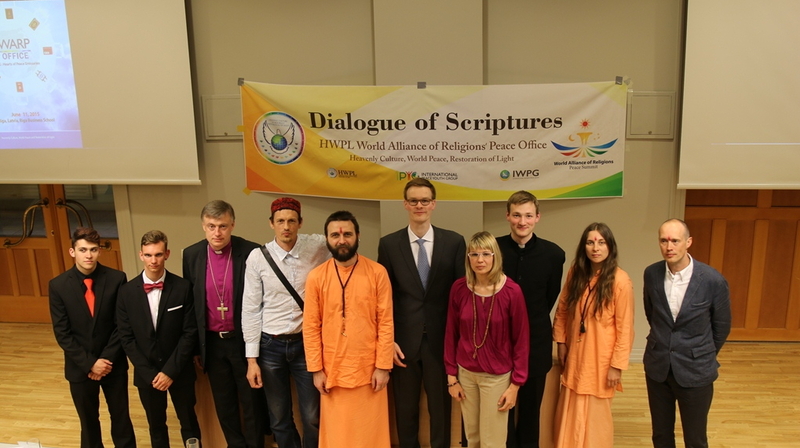 Riga, Latvia- Heavenly Culture, World Peace, Restoration of Light (“HWPL”, Chairman Man Hee Lee) held their first Dialogue of Scriptures through the World Alliance of Religions’ Peace (WARP) Office at Riga Business School in Riga, Latvia on June 11th 2015. Also headed by Randa Medne, the president of a youth group ‘Latvian 4-H’, and Gatis Kondrāts, a founder of ‘Street warriors’, many youth participated and had Q&A time about the contents of the presentations. The event first began by watching introduction videos of HWPL and WARP Summit, an unprecedented international peace festival held in last September in Republic of Korea. All the religious leaders who had seen the video of WARP summit for the first time were pleased to join such a great peace activity as Latvian peace delegates, being amazed by the large scale of HWPL’s peace movement.